Book Your Vacation at The Wharf Today! Escape from it all . . .
Wharf Rental Management is an exclusive onsite rental management company offering vacation rentals for the Gulf Coast's premiere resort, The Wharf! Featuring fully appointed luxury condominiums overlooking the Marina at The Wharf and the Intracoastal Waterway. The Wharf Rental Management staff, has established a goal to provide the highest standard of service for each property owner, maintain each condominium with a keen eye and provide the same quality of excellent service for our resort guests. Hospitality with a smile! It's at the heart of everything we do! As a resort guest of Wharf Rental Management enjoy superior amenities including access to The Oasis pool. 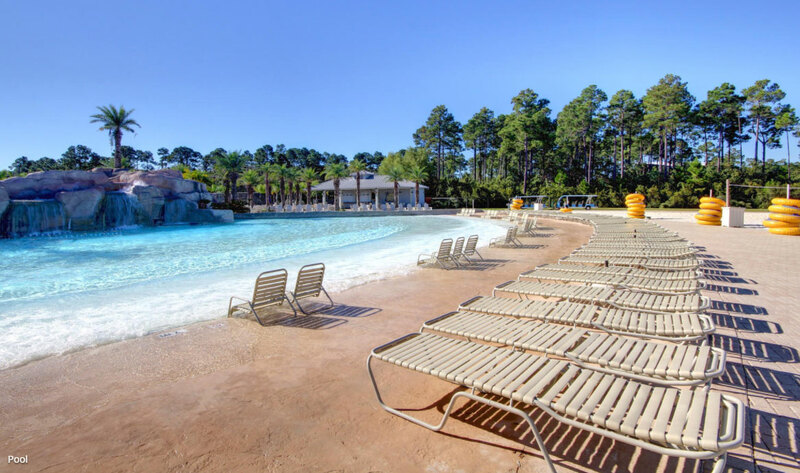 Features include a lazy river, zero-entry wave pool, hammock island and tiki bar. Enjoy a great selection of shopping, dining and entertainment at the resort with 6 restaurants, unique boutiques, AMC Movie Theater, Zipline, Miniature Golf, nightly SPECTRA light shows and live music in The Wharf's 10,000-seat Amphitheater! All in walking distance to your luxury condo! The Oasis. It’s more than a pool--it’s a tropical paradise!